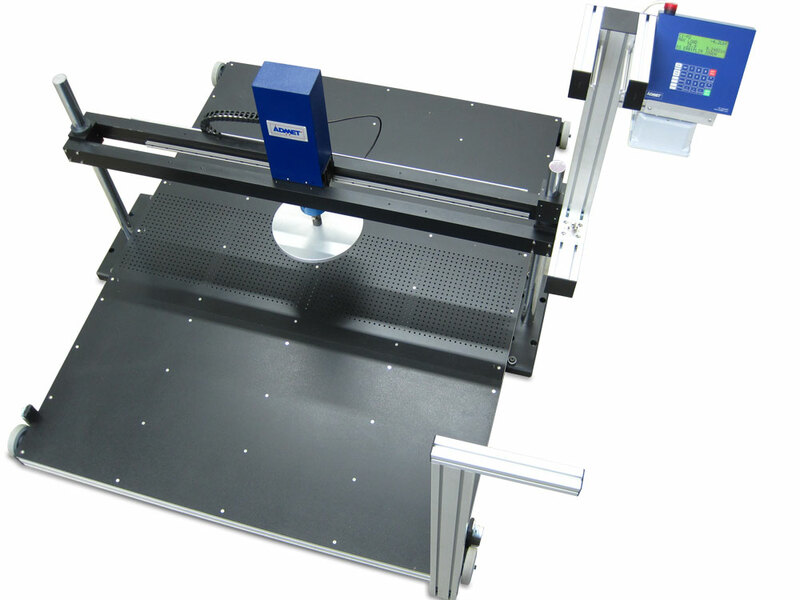 The eXpert 5600 Mattress Tester is a highly configurable and versatile machine for testing manufactured mattresses and mattress components. The frame can be built to accommodate any mattress size up to a California King. 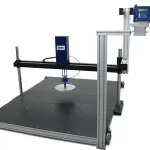 Test methods according to ASTM F1566 and modified versions of test methods found in ASTM D3574 can all be executed on the system when configured with the proper compression platen. 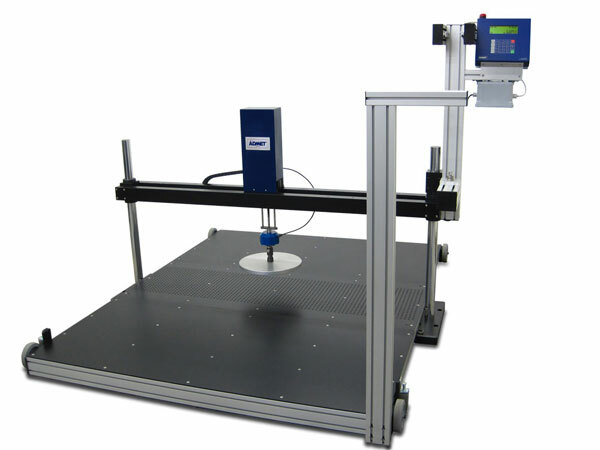 Both Static and Dynamic compression tests are possible (IFD, CFD, Firmness Rating, etc. ), and can be run on any area of the mattress. 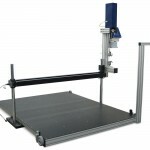 There is even a built in tensile testing frame to perform additional tensile, tear, and elongation tests on foam, fabrics, and other materials commonly used in the mattress industry. The system works just like our other eXpert 5600 series test systems for foam compression testing, but it provides for a much larger test area. To use the system, the mattress is first placed on the test platform. This platform can slide on lockable wheels which allows the user to easily move the mattress to a desired test location. 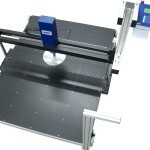 The actuator is central to the frame, but it can also be moved back and forth along the width of the frame to allow the user to run compression testing towards the mattress edges. Both of these both features eliminate the need to push and slide a heavy mattress around by hand once the mattress is placed on the platform. 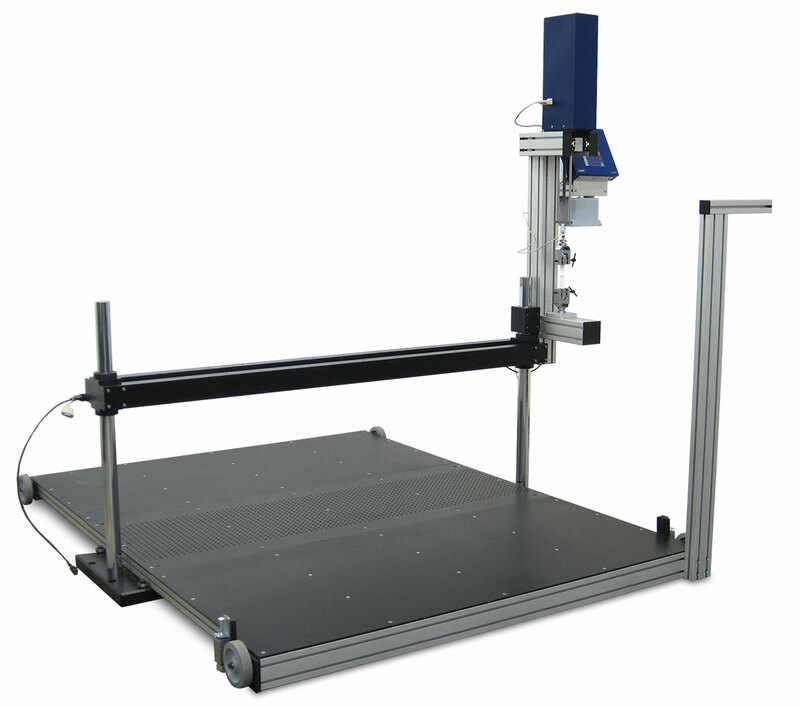 Furthermore, the actuator is completely removable and can be placed in the integrated tensile testing frame and outfitted with any of our grips in order to perform tensile, tear, and elongation testing. Once the mattress and compression platen are lined up properly, or a test specimen is properly placed in the tensile grips, all you need to do is select a test procedure and start the test. Tests procedures are flexible and can be easily modified by the user. After selecting desired calculations and outputs, both individual and grouped test reports are available for viewing. Have a quick question about mattress testing?